Donald J. Heberle is executive vice president and head of wealth management for the PNC Asset Management Group. Prior to joining PNC in June 2018, Heberle served as the chief executive officer of BNY Mellon Wealth Management. He brings to the role more than 20 years of knowledge and experience in wealth management, asset management and investment strategy. Heberle started with Mellon Bank in 1997 managing family office client portfolios, and later assumed full responsibility for the family office business. During that time, he led the business through significant growth, developed and implemented the firm’s tax-managed equity investment process, and oversaw that group’s integration as part of the merger with Bank of New York. He went on to serve as the director of investment strategy for the firm’s private wealth management group, with responsibility for managing the analysis and development of investment ideas, strategic asset allocation, and investment product research. 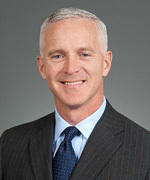 Before his promotion to CEO of BNY Mellon Wealth Management, he served as executive director of wealth strategy and international wealth management, and was responsible for leading the growth and expansion of the international wealth management business, as well as the wealth strategist and client service delivery groups. 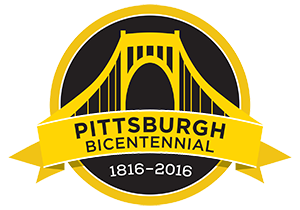 Heberle serves on the boards of the Extra Mile Foundation, Heinz History Center and the Pittsburgh Penguins Foundation. He is also a member of the board of advisors for Carnegie Mellon University’s Tepper School of Business. Heberle holds an M.B.A. in finance and accounting from Carnegie Mellon University and a bachelor’s degree in economics from Harvard.